LOWER EAST SIDE, Manhattan (WABC) -- Police say they have made a second arrest in the beating of a young man on the Lower East Side that was caught on camera. 28-year-old Shachin Gauchan of Queens is charged with assault in the case. On Wednesday, 23-year-old Nawang Choying of Queens was arrested and charged with gang assault. 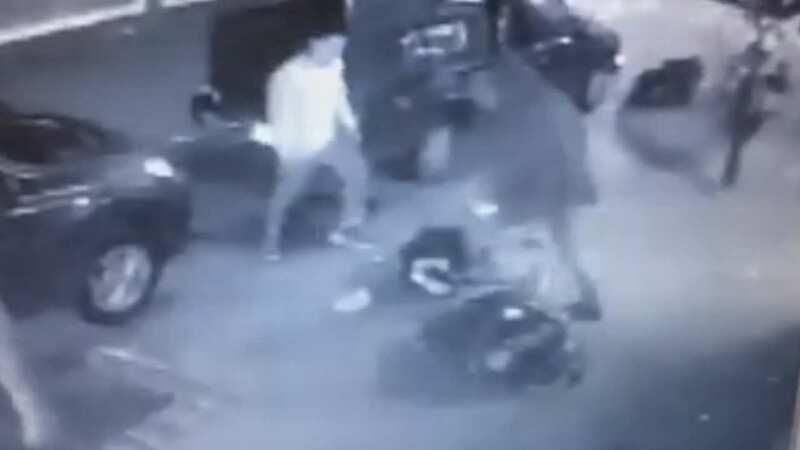 Surveillance video shows two men stomping on the 24-year-old victim last Friday on Orchard Street, leaving him seriously injured. Police say the two attackers had chased the victim up Stanton Street, then caught up to him, and attacked. The victim is in serious condition at Bellevue Hospital.